(CNN) — Atlanta’s airport is still the busiest passenger airport in the world, but Beijing’s airport is closing the gap. 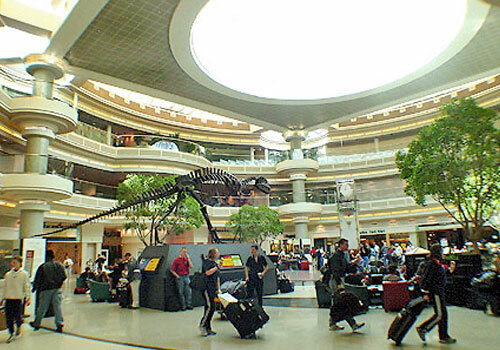 More than 94 million passengers went through Hartsfield-Jackson Atlanta International Airport in 2013, a decrease of 1.1% over the previous year, according to Airports Council International’s preliminary passenger traffic results for 2013. Beijing Capital International Airport came in second place and is continuing to close the gap with Atlanta, reporting nearly 84 million passengers last year. That’s an increase of 2.2% over 2012. London’s Heathrow Airport remained in third place with more than 72 million passengers, an increase of 3.3%, according to Airports Council International, the worldwide association of airports. There were no changes to fourth, fifth and sixth places. They remained Tokyo International Airport (Haneda), Chicago O’Hare International Airport and Los Angeles International Airport. With 66.4 million passengers last year and a 15% increase in traffic, Dubai jumped from 10th place to seventh place. To view the whole article, click here.